The superb location in Scheveningen is just one of Grand Hotel Amrâth Kurhaus The Hague's many advantages. The luxury hotel welcome you here to the Netherlands with a wide range of facilities and five star services at best rates, designed with your comfort, wellness, and convenience in mind. Grand Hotel Amrâth Kurhaus The Hague features luxury suites, fine dining, and simply breathtaking North Sea views in Scheveningen. The Kurhaus is specialized in relaxed sophistication: soak in the gorgeous atmosphere at the Kurzaal, or simply enjoy a glass of wine. In the warmer months, gather with friends on our terrace - the largest in Scheveningen, and open to hotel guests and local visitors alike. Make yourself at home in the warm and cozy conservatory and restaurant Waves at the Kurhaus when the weather is chillier. The friendly service and reasonable prices will have you planning your next trip to The Hague as soon as you return home. Waves is a restaurant, bar and conservatory with the biggest terrace in Scheveningen. Chef Marc Smeets serves up delightful dishes that match the fantastic views. Waves regularly organises special evenings. In fine weather the bartender can mix great cocktails for you at the outdoor bar and the chef turns on the barbecue. The splendid function rooms at Grand Hotel Amrâth Kurhaus set the stage for successful parties, weddings, and business conferences in The Hague, Netherlands. The hotel can easily accommodate groups of any size, from two to 1,500 people. All of the event venues are fitted with power sockets, free Wi-Fi, telephones and they are also wheelchair accessible. Some of the event rooms offer an adjoining terrace and views of Scheveningen and the North Sea. Others include a stage and trusses. Enhance your conference or event in Scheveningen with state-of-the-art audiovisual services and delicious catering at Grand Hotel Amrâth Kurhaus. 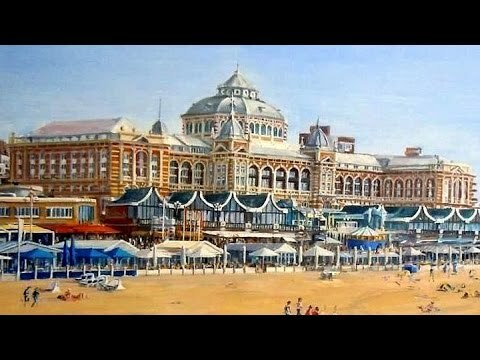 The Kurhaus is surrounded by several attractions in Scheveningen, such as The Pier, SEA LIFE, Museum Beelden aan Zee, the Circustheater and Holland Casino. The immediate vicinity of the hotel offers a wealth of activities during every season. After a refreshing walk along the beach, drop in at The Pier, restaurants and cafés on the boulevard and the year-round beach clubs to enjoy a delicious dinner with a view of the sea. Nearby Museum Beelden aan zee focuses exclusively on contemporary sculpture The Pathé cinema, Circustheater and Holland Casino guarantee a great evening out in Scheveningen. 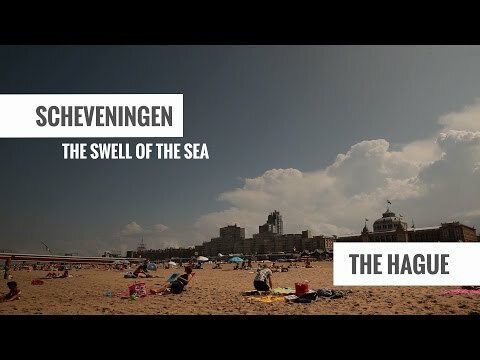 The historic city centre of The Hague is only fifteen minutes from Scheveningen beach! Scheveningen is well served by public transport and is easy to reach by car and bike. The Kurhaus can be reached quickly by public transport. A range of buses and trams run to Scheveningen from both train stations in The Hague within 15 minutes. The hotel is a few minutes' walk from the Kurhausplein stop. Travelling by car from the A44 and A12, follow the signs for Scheveningen Bad. You will find various parking garages located in the vicinity of the Kurhaus hotel.